The World Series champion Red Sox are off to a 6-11 start while the Yankees, winners of 100 games in 2018, have stumbled out of the gate at 6-9. The two teams expected to run away and hide from the rest of the AL East this season are running far behind the Rays. 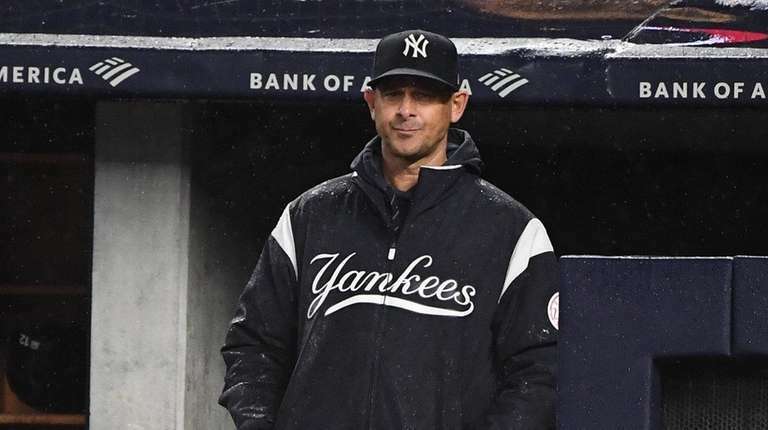 Thus, the story line heading into the first Yankees-Red Sox series of 2019, which starts Tuesday night at the Stadium, is unexpected, to say the least. They are two anticipated powers who are not remotely interested in the other at the moment, focused solely on trying to right ships that are foundering. Ready or not, it’s the defending World Series champion Red Sox, winners of 108 games a season ago but off to a 6-11 start, against the Yankees, winners of 100 games in 2018 but only 6-9 this season, 5 1/2 games behind Tampa Bay. Boston is 6 1/2 games behind. The Yankees have three straight home series losses against the Orioles, Tigers and White Sox, three expected non-contenders who had a combined 173-313 record in 2018. After Sunday's 5-2 loss to the White Sox, Luke Voit said his hope is that a series against the team that bounced the Yankees from the playoffs might serve as a spark. Aaron Judge, laughingly accused of fueling the Red Sox fire in the ALDS by playing “New York, New York” on his boombox in the bowels of Fenway Park after the Yankees' Game 2 victory – the notion that Boston needed some kind of extra motivation against the Yankees is downright silly — agreed that this series could serve as a springboard but also took a big-picture approach. A variety of factors have led to the Yankees' inability to play to those capabilities 15 games into the season. The bullpen, expected to be among the best in baseball, has been an overall disappointment. 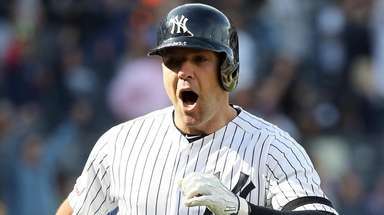 They have hit their share of homers – the Yankees entered Monday ranked third in the American League with 26 – but have been too easily shut down at times. Starting pitchers James Paxton and J.A. Happ have struggled. Relating to the above difficulties, of course, are the injuries that have plagued the team since spring training. Pundits, players, fans, management, etc. can say “injuries aren’t an excuse” until they’re blue in the face, but if the Yankees have to spend too much of the season sending up a lineup that doesn’t include Giancarlo Stanton, Gary Sanchez and Aaron Hicks, to name just three of the injured, and features the 7-9 hitters it did on Sunday – Gio Urshela, Kyle Higashioka and Mike Tauchman — that does not bode well for prolonged success. Regardless of the circumstances, Boone said he hasn’t seen a difference in confidence in the clubhouse.